You can do it, Hookah can help! Not only 1, but could you believe 10 of our fellow HookahTown citizens have kicked the bad habit using Hookah. Jake from NY said, " I needed something to take the edge off...and hookah did it, every day at 6pm!! !...I didn't think I could do it, but today is my 5th month without cigarettes...Thank You to whomever invented hookah!" Here are some simple steps and tips we have gathered from our citizens who have kicked (cigarette) butts. Whether gradual or cold turkey you must be commited to quiting. 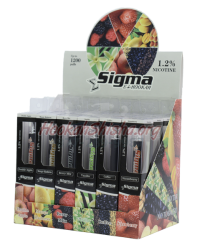 You can gradually decline your cigarette smoking , with the help of hookahs. 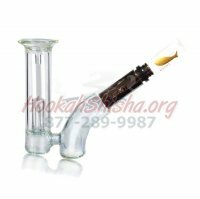 Try specifying a time to smoke hookah, and keep to it, routine helps. 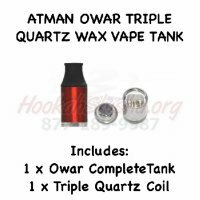 For a harsher smoke, use 2 coals, or poke concentrated big holes in the tin foil, gradually begin to soften your hookah smoking by spreading out the holes and lessening the amount of coals, as your cigarette desire decreases. Gradually begin using Herbal Shisha mixed with regular tobacco shisha, until you eventually use only herbal shisha, which contains 0% Tobacco, Nicotine and Tar. The Weekender's Package allows you to mix Soex Herbal Shisha with Hookah Tobacco Shisha and save. Using Njoy Quit Smoking Device - immeasurably helps with the oral fixation many smokers suffer from, and the physical act of smoking. This device provides enough nicotine without any other contents. The WHO (World Health Organization) Recently came out with a report assessing the health risks of smoking hookah. Unfortunately the study was done in a manner not applicable towards American nor most western countries Hookah usage. The report is based upon the following circumstances which makes it inapplicable to modern usage and usage across America. The report is based on a smoker taking 50-200 puff’s in a single hookah sit-down. The report is based on a single person smoking an entire hookah. The hookah used in the report is being smoked “middle eastern style”, simply placing the charcoal atop the tobacco, burning the tobacco directly. The Report solely used Shisha Tobacco. These circumstances cause the report to be unsubstantial to most people for the following reasons. To start off with, there are not very many people who would take 50 puff’s off of a single hookah, yet alone 200! The smoke levels noted by the report are based upon someone using hookah as a respirator, smoking the hookah non-stop for its entirety. This is not normal Hookah smoking, by any stretch of the imagination. The average hookah smoker takes up to 35 puffs on a single hookah and smokes 1 time a week, the infrequency and rather few puffs, decrease the WHO’s findings per American Hookah Smoking Standards. The report is also based upon 1 person smoking a hookah for its entirety…1hr or more, which is rarely if every done. Hookah is a social facilitator and enhancer; it is normally smoked with at least 2 people or more. Being that the hookah is smoked by more than 1 person, the amount of “puff’s” taken must be divided in half or more, based on the number of people smoking. The original exaggerated number of 50 puffs begins to dwindle even more. The average person takes 10-20 hits off a hookah with 1-3 people present, puffs lessening as the people increase. Hookah smokers in the Middle East smoke hookah by placing the charcoal directly atop the tobacco, charring the tobacco burning it faster and harsher. American Hookah Smokers suspend the charcoal above the bowl (covering the Shisha bowl with holed tin foil) using the charcoals heat vapors to burn the Shisha. During testing the WHO only used Shisha Tobacco, which contains Tobacco, minimum amounts of Nicotine and no Tar. There is however many types of Shisha’s on the market currently that do not contain tobacco, one of which is Soex Herbal Shisha, this contains 0.0% Tobacco, Tar & Nicotine. Unlike cigarettes Hookah Shisha does NOT get its taste from chemicals, sweet fruit flavored molasses is mixed in with the Shisha to give the sweet taste and aroma Used in all indoor Hookhabars located in the states with indoor tobacco laws, you can easily find Herbal Shisha and is being used just as widely as Shisha tobacco.. Had the test been done with the Herbal Shisha the results would have been drastically different. 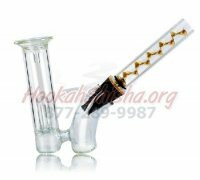 Most smokers in the united states do not inhale once throughout the hookah session, yet alone everytime they take a puff. 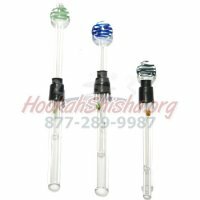 Habitual inhalation is not present in american smokers, however some do inhale periodically, which is still far less than inhaling with every puff like the WHO report Hookah smoker. The study never considered Vapor Stones, neither Hydro Vapor Stones, Shiazo Steam Stones, nor MYA Rocks, which simply contain rocks, molasses, and glycerin. 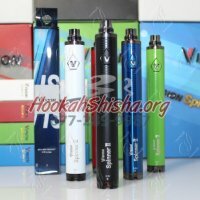 Vapor Stones do not contain ANY TOBACCO , TAR NOR NICOTINE! You ar emerely smoking fruit flavored molasses, which is exactly what shisha is minus the tobacco or herbs. In closing, Hookahs are more of a social activity than anything else, they are smoked in groups and on the occasion, its health concerns are therefore minimal compared to cigarettes. However it is always safe to say, too much of anything, is bad.